This beautiful move-in-ready home is waiting just for you! 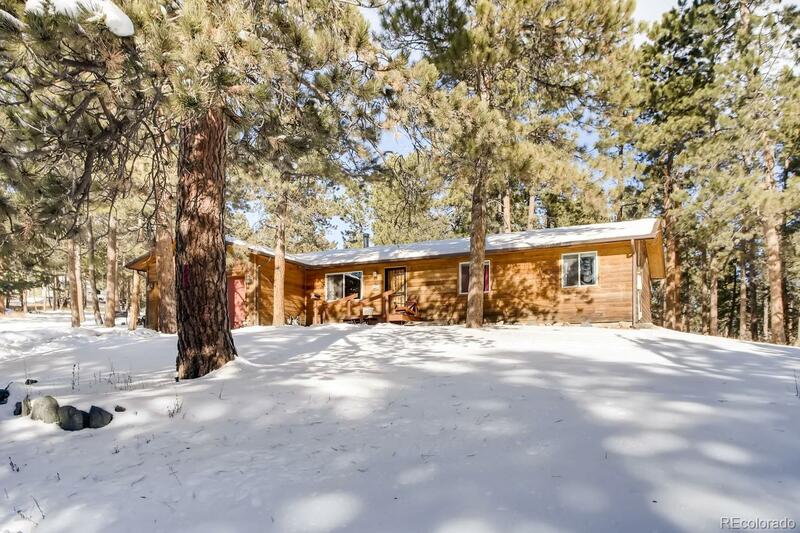 The tall ceilings and open concept layout of this ranch style home make it feel spacious. New updates throughout, including a new roof, windows, updated kitchen with stainless steel appliances and recent bathroom remodel. Slate tile flooring add to the charm of this mountain home. Deck space outside welcomes you to the TRULY FLAT, grassy and lightly wooded 1.15 acre lot with lots of space to roam. Located in the Aspen Park neighborhood of Conifer, this home is a short 1 minute drive to Highway 285, making your commute home a breeze! It is conveniently located walking distance to local schools, retail and dining - including the new frozen yogurt shop! Ride your mountain bike to the nearby Flying J or Meyer's Ranch Jeffco Open Space parks, or take a short 10 minute drive to Staunton State Park for hiking and snowshoeing. This one is it!